The solution to Galway's traffic problems does not have to be cast as an either/or between having only the Galway outer ring road bypass or only light rail. Both systems should be implemented. This is the view of Gluas project chair, Brendan Holland, who was responding to comments made recently by Anne Graham, the chief of the National Transport Authority. Speaking to the Oireachtas Committee on Transport, Ms Graham said light rail would "not be appropriate" for Galway and would only prove “a highly inefficient solution” to the city’s traffic problems. She referred to a study which said 1,100 passenger journeys per hour would be need to be facilitated by such a service, but that light rail system could only accommodate around one-third of this requirement. The meeting, which was also attended by Galway city and county council officials, was told the focus of attention should now be on progressing the Galway city outer ring road, which could be delivered in seven years’ time at the earliest. Ms Graham's comments have been sharply criticised by Mr Holland, who said she had "missed the point completely" and challenged the figures she put forward to the Oireachtas committee. "The 1,100 passengers per hour figure is totally dependent on what the system costs," he said. "Unlike the heavy, larger, Dublin Luas, GLUAS is based on modern technology of a much lighter system using modern, shallow, non-penetrating, rail which is much less expensive to install. 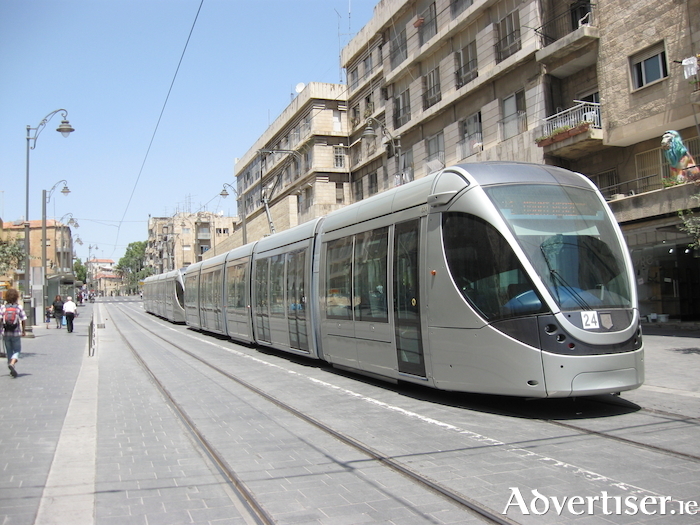 Because the trams are smaller and lighter, the same passenger numbers are not required." Mr Holland pointed out that there has "never been a dedicated study" for a light rail system in Galway, as a result of which he questioned if Ms Graham had the authority to "say with such certainty that it is not an appropriate and highly inefficient solution". Mr Holland also hit out at the attitude that the Galway city outer ring road must be pursed as the only option to tackling traffic congestion. "GLUAS is not against the ring road," he said. "GLUAS will cater for different needs. By its nature, the outer ring road will service those who need or want to bypass the city, but what about those who wish to the enter the city, or who don't need to leave the city, but just travel from A to B within the city and its boundaries?" The recently launched Project Ireland 2040 plan has forecast that Galway city's population will grow to 140,000 by 2040. Mr Holland said relying on bus services as the sole public transport solution is not feasible. "A light rail system is an overall and complete transport system that will serve our city for the foreseeable future," he said. "Project Ireland 2040 seeks to reduce urban sprawl which means more development inside the city boundary. Light rail is the best sustainable and efficient method for the future commuters of Galway. Buses service passengers but trams attract passengers."